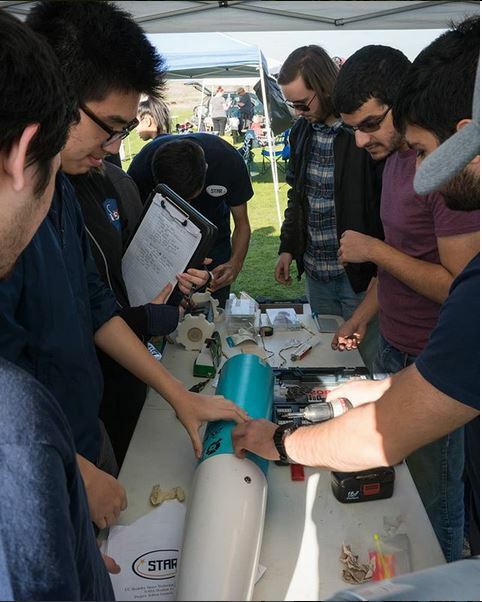 Beginning in 2016, through California Space Grant Consortium funding, SSL scientists and engineers have been able to continually train and mentor students from the Cal Space Technologies and Rocketry (CalSTAR) student club. Undergraduate student opportunities at SSL offer semester academic credits and/or summer stipends through the Undergraduate Research Apprentice Program (URAP), the Data Science Discovery Program, and the University of California Leadership Excellence through Advanced DegreeS (UC LEADS) program. Paid undergraduate student opportunities are also occasionally available through direct hires and stipends supported by education and training grants obtained by SSL through NASA, NSF, and other funding agencies. The following is a list of current undergraduate student openings at SSL. For each opportunity listed, please follow the link to the corresponding official application site. The electric field plays a fundamental role in space. Yet, it remains poorly understood. The objective of the project is to analyze a large database of electric field measurements recently provided by the two spacecraft of NASA’s Van Allen Probes mission. The project aims to identify trends in the data, and ultimately to formulate a simple analytical model. Applicants should be familiar with statistical computing, and have significant experience with at least one programming language (IDL, MatLab, Python, etc.). This opportunity is being offered for the Spring 2019 semester through the UC Berkeley Division of Data Sciences Discovery Program. Find out more and click on the Student Application link here to apply.